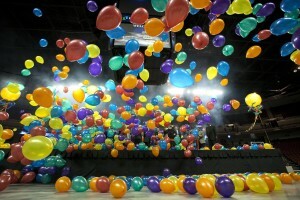 All Things Balloon is now offering Balloon Drops! 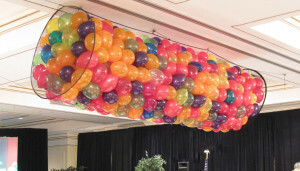 A balloon drop is really a fun and colorful way to put an exclamation point on your event! You have someone that can pull the rip cord(s) at the correct time …..
then we can provide everything you’ll need to make your balloon drop a spectacular occasion for your guests! Please call us today at (210) 774-5413 to discuss your balloon decorating requirements.